creations must be using hybrid proprietary modeling software to make these. 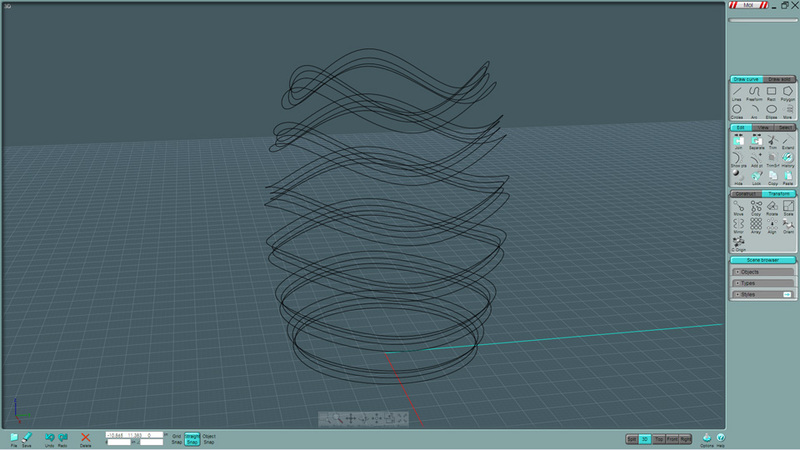 Perhaps they are formed from complex D-SUB applications, but NURBS would be my first choice. This bottle has fluted ridges that run horizontally up the bottle. There is an overall shape consisting of a rounded circular shape as the bottom portion and a cylinder shape up top. The flutes undulate - start out flat and become more pronounced on up. On top of that the indention detail is repeated in three directions axially on the bottle's surface. 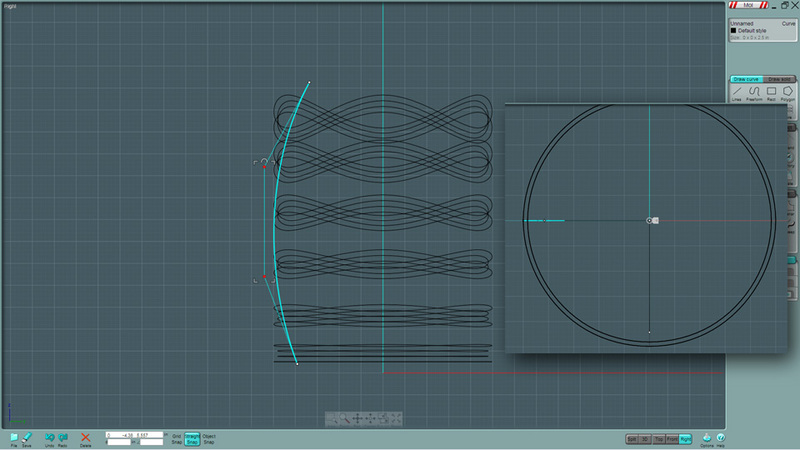 I start off with a simple circle. A MoI circle contains 12 control points by default, but a 6-point version is needed here. 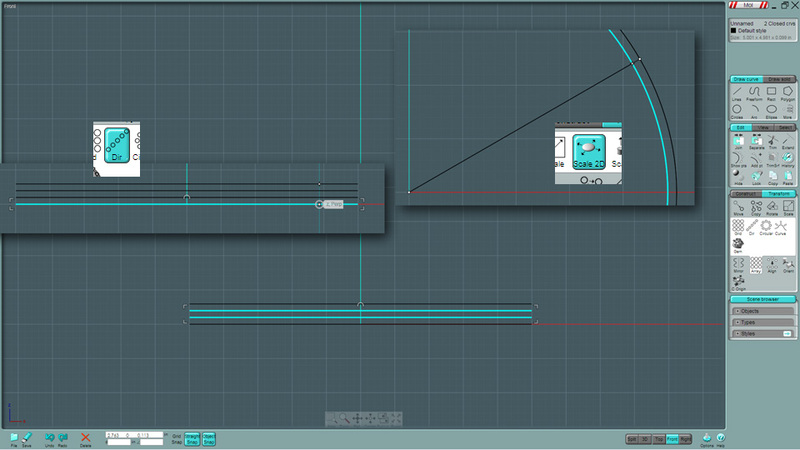 You could simply delete half of the control points, but for the sake of the tutorial, we'll use the Rebuild command. After selecting the object, make sure to turn the control points on and enter the word "rebuild" in the command box at the bottom. 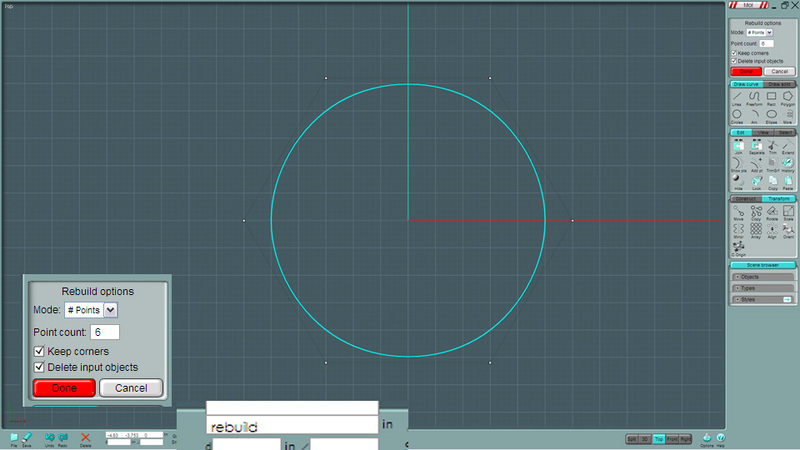 One you create this 6-point circle, copy it with the Array by Direction tool and make a four copies of them. 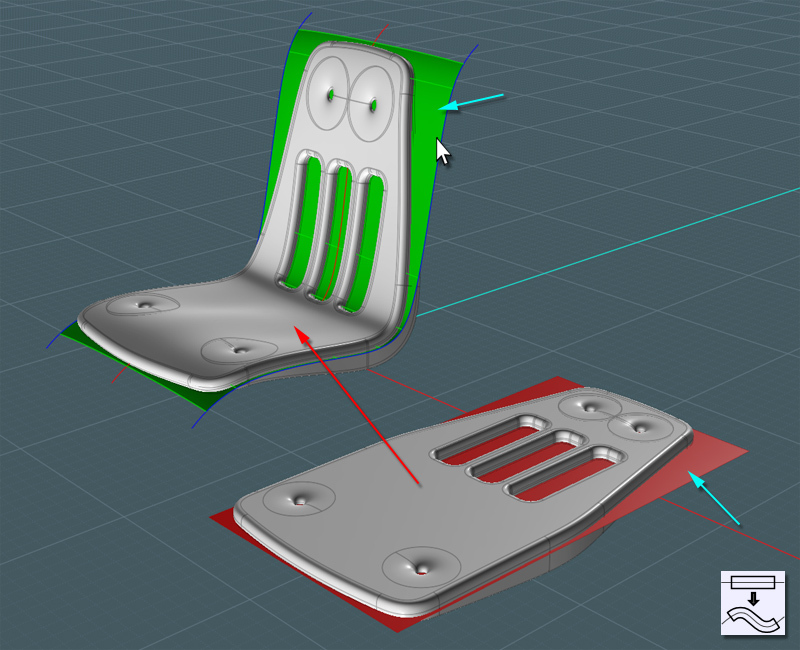 The two middle ones will create a sunk-in (recessed) area once lofted - "2D Scale" them inwards from the top view, do not alter their Z position. 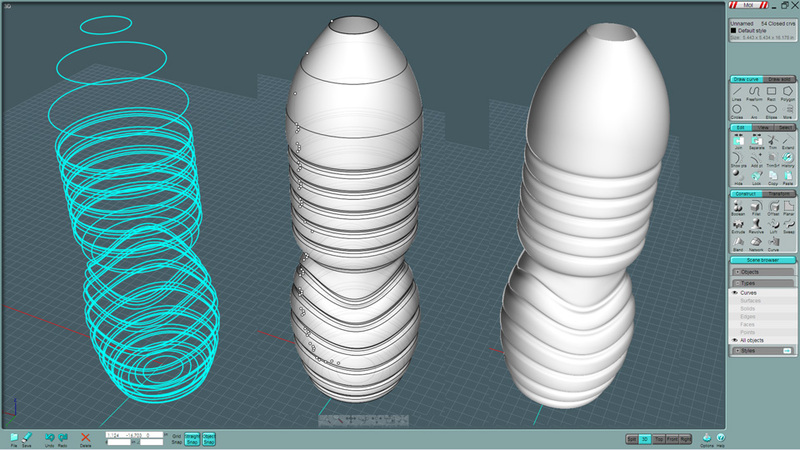 Copy this set as many times as desired to create the bottom detail of the bottle, using the Array Dir tool. I moved the top and bottom set in closer to tweak the look. Out of the six stacks of points in the whole array, we need to select three sets, (every other) evenly arranged. Go to a side View and scale these selected points upwards (Z) from the bottom-up. This is the tricky part. 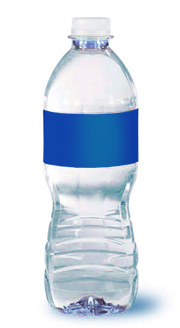 The lower half of the bottle has a rounded organic shape. 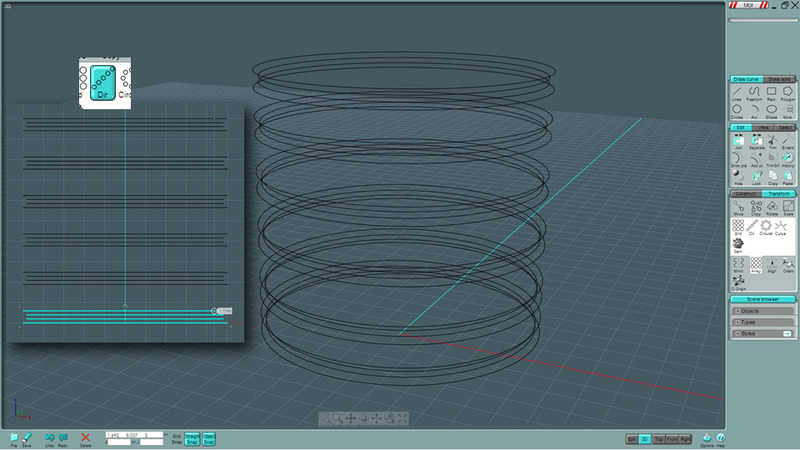 - you could revolve or loft the basic shape and Project the rings to the surface. However, to do so requires that the mode of the projection be set to "Nearest Point" to project the wavy ring to the surface. If the surface is curved and at an awkward angle, the projected line may not be at the same Z location as its originator. 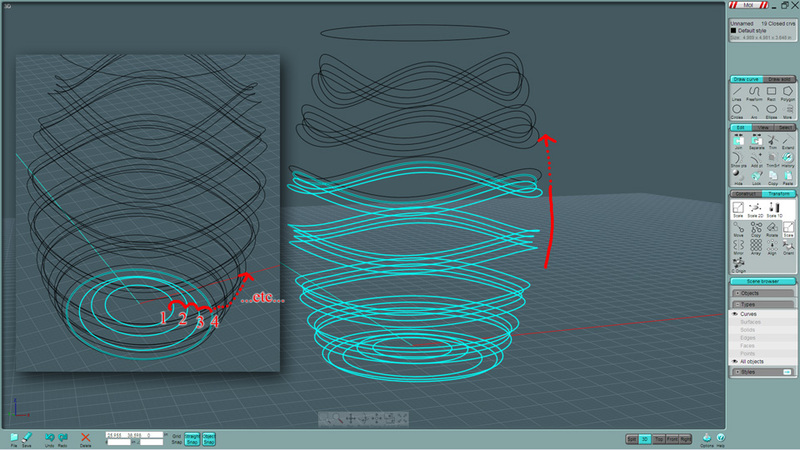 The second method would be to apply an (FFD) free-form distortion to the set... (Certainly in V4 ;-) but not yet. 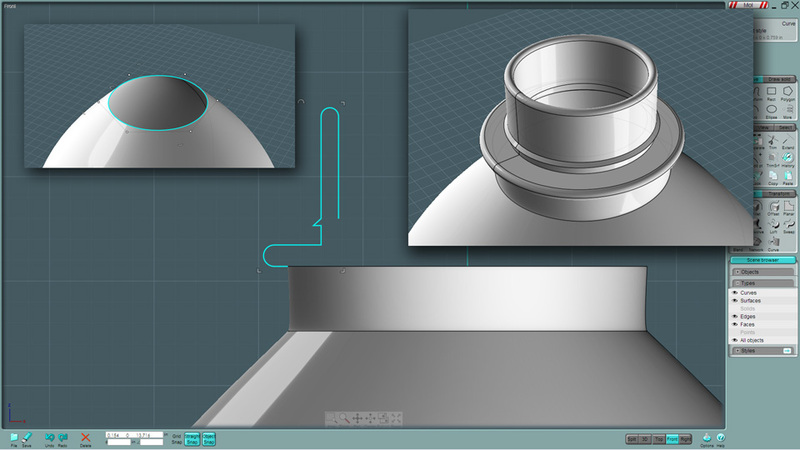 place the ends of the recessed rings. 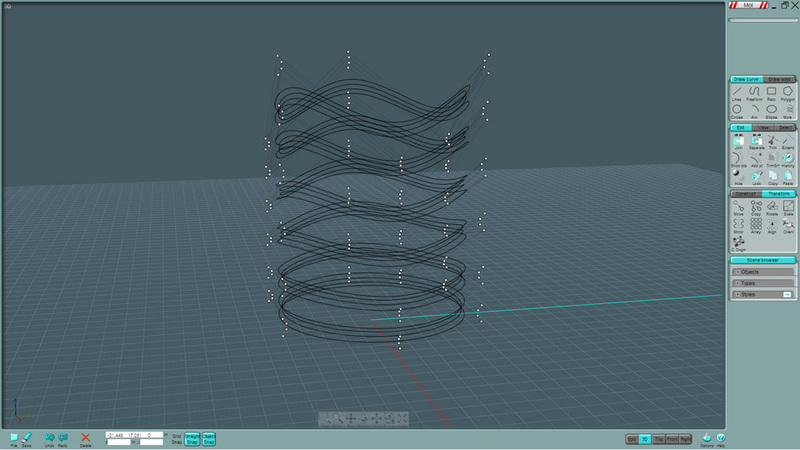 Shown here: 2D scaling of each ring. other when lofted. This is a done-by-eye procedure. 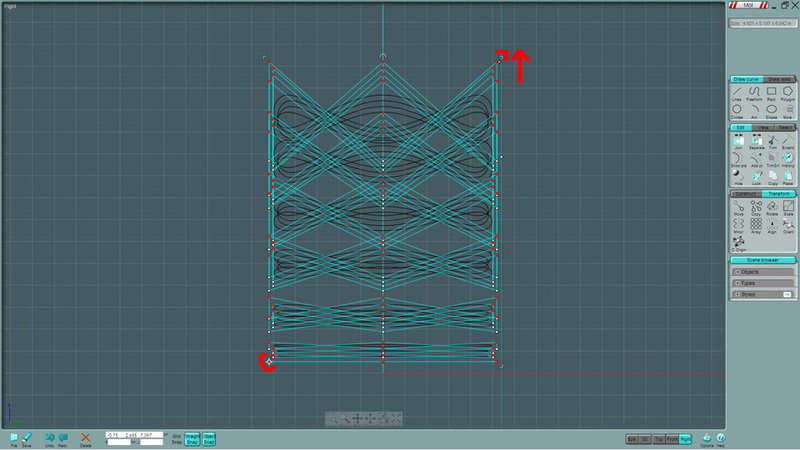 Lofting is next, and it requires that you choose the order by which to form the mesh. 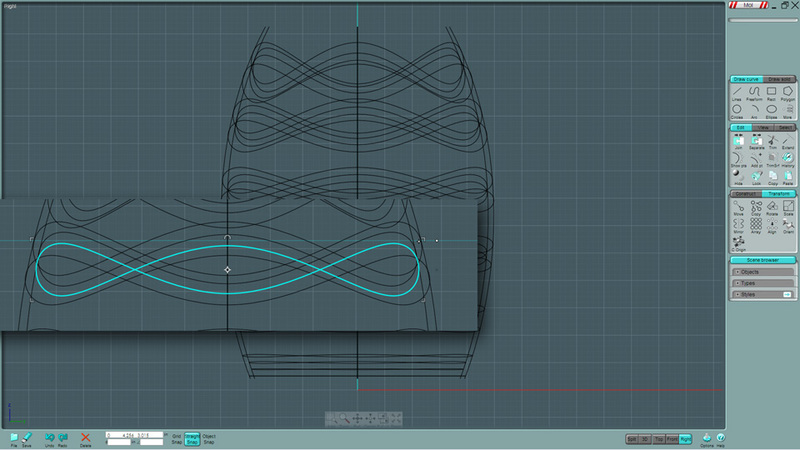 Manually start at the bottom and work your way around the bottom and up consecutively according to the shape you desire. One click should do it. Note: MoI has three styles of Lofting; Normal, Loose and Straight. Straight will make the resultant shape cut with sharp angles. 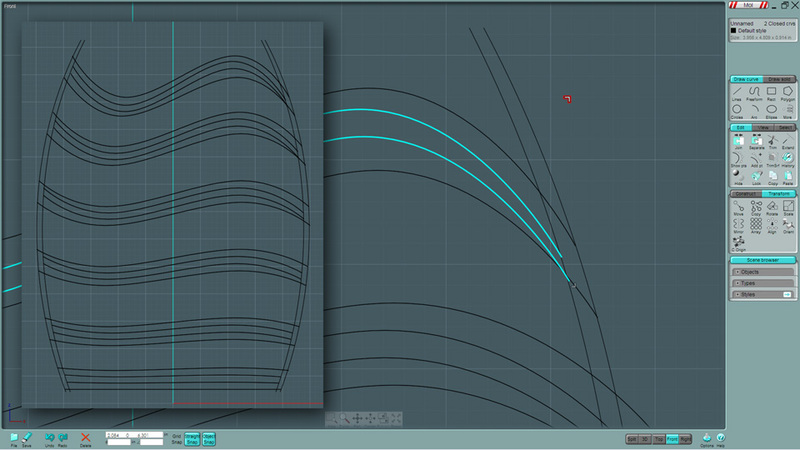 Normal will match the shape, passing all surface variations through each profile curve precisely. 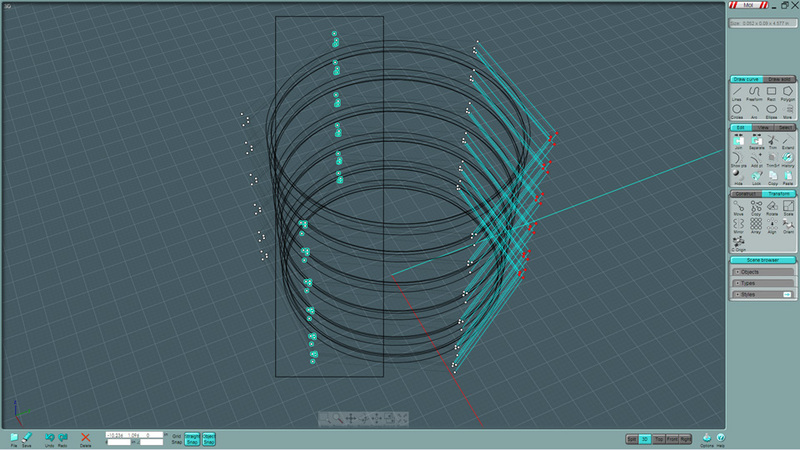 Loose will average each position of the created surface relative to the profile shape. Once Lofted, vertically scale to suit. by trimming and Filleting without very many problems. 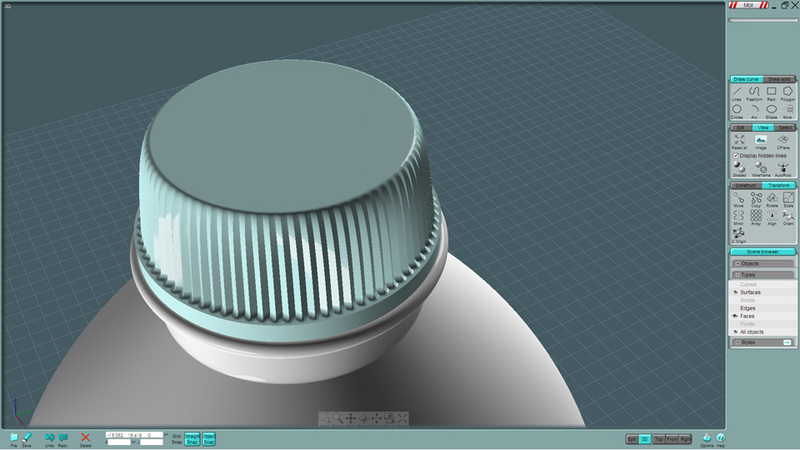 Now make the top screw-cap lip. Note that you still have access to the original 6-point circle. Revolve your profile and threads can be added if you wish. 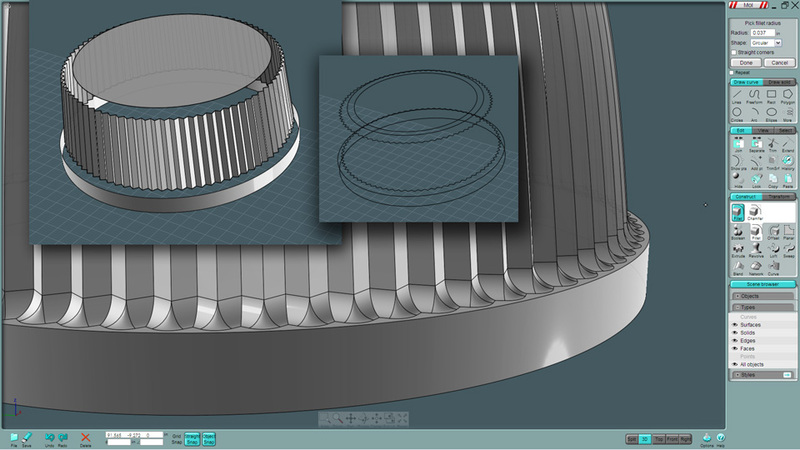 To make the cap, I created and arranged circles and multi-point Custom Stars. 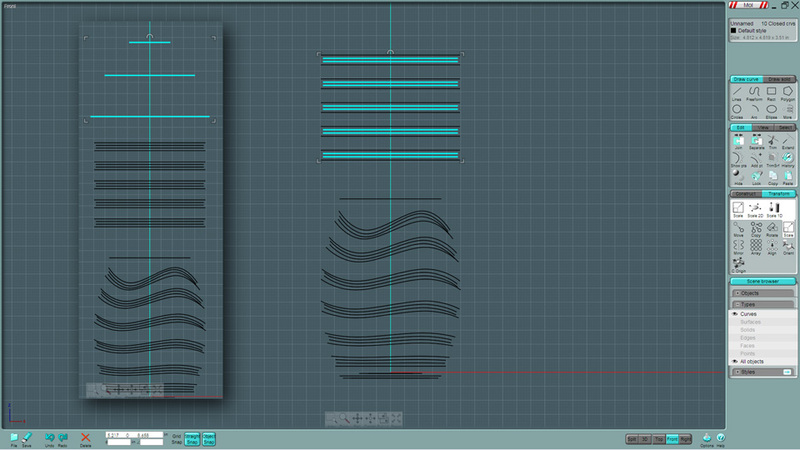 I Boolean-Unioned the two and tried this nice Fillet (that worked) to the bottom. 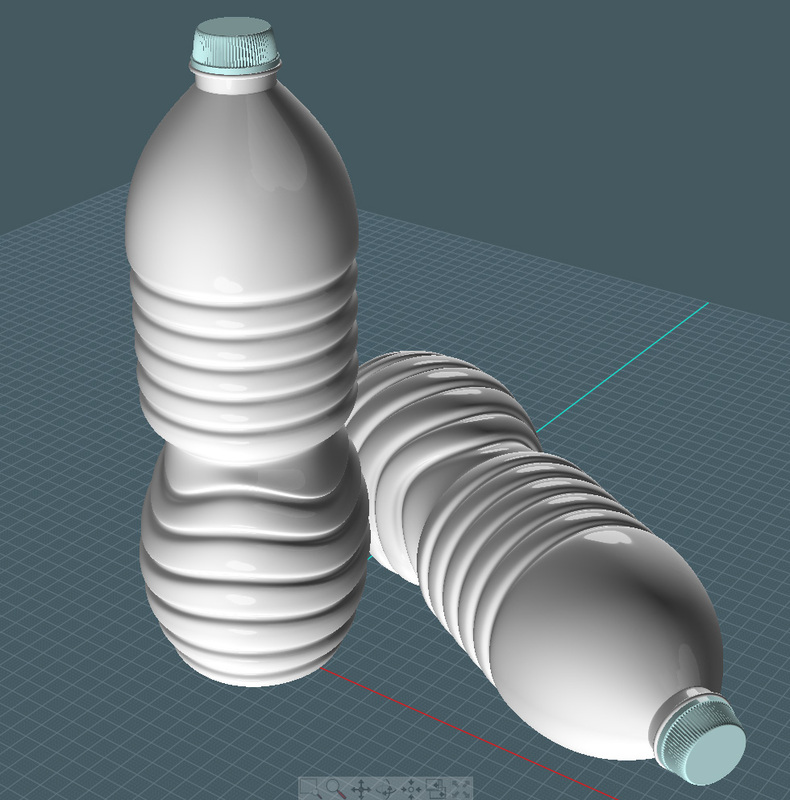 Create a realistic-looking plastic bottle in your favorite rendering program. 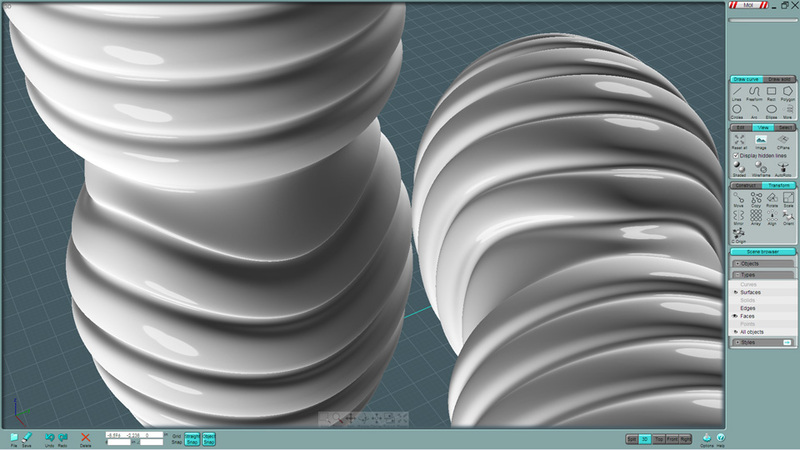 That was it... "Smoothing, with extracted edges" to control the smooth, in NURBS!! Visit K4ICY for my MoI tutorials! Whew! Thanksfor this one! I love all of your tuts – very educative! Another seriously cool tut. Nice.